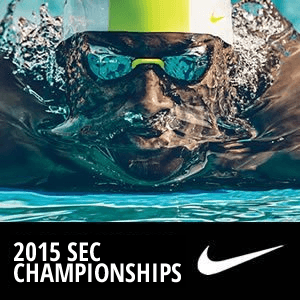 The first individual swimming finals of the 2015 SEC Championships are slated to go off tonight in Auburn, Alabama. No event will be as hotly-anticipated as the men’s 50 free, where Alabama’s defending NCAA co-champion Kristian Gkolomeev and Florida freshman sensation Caeleb Dressel were 18.88 and 18.89, respectively, in prelims. Both are already under the winning NCAA time from last year. Some other swims to watch for: the women’s 50 free saw Georgia’s Chantal van Landeghem, Florida’s Natalie Hinds and Texas A&M’s Beryl Gastaldello all break 22 seconds, while defending NCAA champion Olivia Smoliga was relegated to the B final in 9th place. The Georgia men sit 1-2 in the 200 IM with Tynan Stewart and Chase Kalisz, while the Florida women have the same setup with Theresa Michalak and Ashlee Linn. Nobody showed a whole lot of their best stuff in prelims of the women’s 500 free, but expect a slugfest between A&M’s Sarah Henry, Florida’s Jess Thielmann and Georgia’s trio of Amber McDermott, Brittany MacLean and Rachel Zilinskas. Florida sits 1-2 in the men’s event with Dan Wallace and Mitch D’Arrigo. Also competing tonight are the 200 free relays and the women’s 1-meter divers. Keep refreshing this page for event-by-event updates from Auburn, Alabama. You can also follow our live Twitter account, @SwimSwamLive, for quicker, brief updates on event results. Scoring breakdown and analysis, day 1. The Florida men got a great start in defending their team SEC title, holding the top two spots in the 500 free. The finish order flip-flopped, though, with sophomore Mitch D’Arrigo besting senior Dan Wallace in 4:10.77. That time is a lifetime-best for D’Arrigo by almost two seconds, is a new NCAA-leading time, and just missed the SEC meet record by .04. Wallace, who set that record last year, was 4:13.67 for second place. 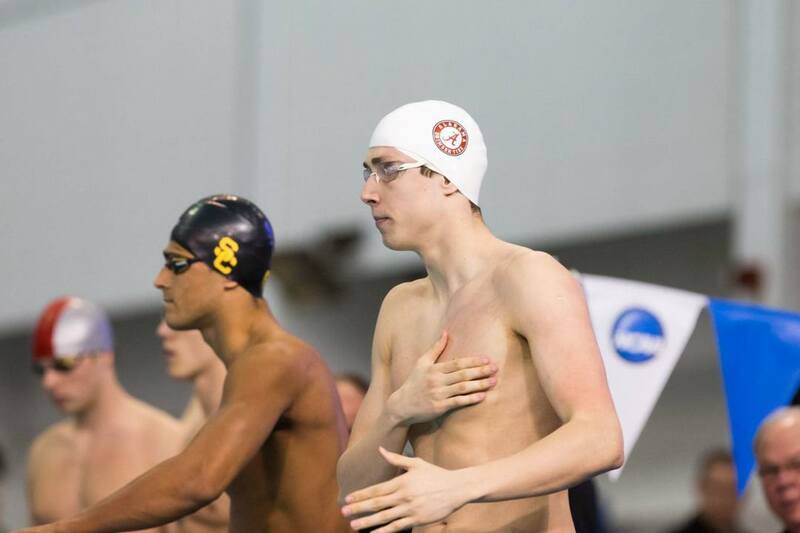 Alabama’s Anton McKee, an Icelander and best known as one of the nation’s better breaststrokers, went 4:14.98, just touching out South Carolina’s Akaram Mahmoud (4:15.11). Georgia freshman Kevin Litherland moved up from the 8th seed to take 5th in 4:16.36, besting another talented freshman, Tennessee’s Sam McHugh (4:17.05). Florida’s third entrant in a solid event for them was Arthur Frayler, who took seventh in 4:17.48. South Carolina, like Florida, found a lot of success in this distance event. Though freshman Tom Peribonio was the last finisher in the A final, he was still 4:17.58. The Gamecocks’ two A finalists were more than every other team except Florida. In the B final, Georgia’s Matias Koski boomed a 4:12.01 to crush the field by four and a half seconds. That’s an A cut for Koski, and would have netted him second overall. That seems to confirm that his morning swim was a prelims slip-up, rather than a sign of a swimmer skipping a rest for the conference rounds. Koski missing the A final was a blow to Georgia points-wise, but they recovered as best they could, winning both the B and C finals. Garrett Powell was the C final winner in 4:16.62. That 500 free netted an insane 125 total points for Florida, vaulting the Gators from 8th place into 1st. Georgia sits second with 226 to Florida’s 244. The Georgia women will jump to their first points lead of the 2015 championships, getting a 500 free win from senior Amber McDermott. The tough Bulldog went 4:35.19 for a season-best that outdoes her mid-season rest meet time by about eight tenths. McDermott led early and never relinquished her lead, leaving Florida’s Jess Thielmann and Texas A&M’s Sarah Henry to battle her teammate Brittany MacLean. Thielmann ultimately topped that trio, going 4:36.62, and Henry was 4:38.10 for third. MacLean, the defending NCAA champ in the event, fell off through the middle of the race to go 4:41.62, which is well off her season-best of 4:36.42. It would appear MacLean is saving her best stuff for the NCAA championships, given she’s already secured an invite with that mid-season A cut. Tennessee’s Madeline Tegner wound up fifth, touching out Georgia’s Rachel Zilinskas 4:42.73 to 4:42.84. Both sophomores were trailed by two more sophs: Florida’s Taylor Katz (4:43.15) and Texas A&M’s Sarah Gibson. Georgia now leads with 272 points, already putting some distance between them and second-place Florida (210) and third-place A&M (205). The Georgia men fired back at Florida by holding their ground atop the 200 IM. But it wasn’t national leader and 400 IM American record-holder Chase Kalisz that did the deed – it was his teammate Tynan Stewart. Stewart, a junior, took over the nation’s top spot with a 1:42.83, riding a huge 24.6 freestyle split to the title. Stewart was sitting 4th after the breaststroke leg, but ran down the field for a win in his new lifetime-best. Florida senior Eduardo Solaeche was the leader prior to that, but couldn’t quite hold off Stewart at the wall. Solaeche was 1:43.15, just touching out Auburn’s Joe Patching (1:43.16) by a hundredth. Kalisz dropped back to fourth, hitting his prelims time exactly, down to the hundredth at 1:43.44. 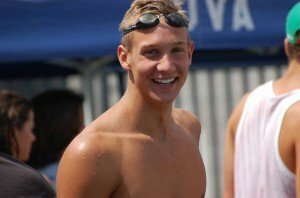 A pair of seniors followed: Tennessee’s Tristan Slater was 1:43.50, and Georgia’s Nic Fink went 1:43.60 with the field’s best breaststroke split at 28.8. 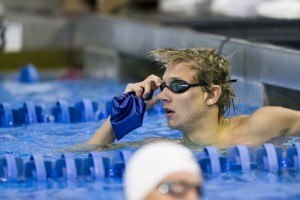 Florida freshman Mark Szaranek was 1:43.61, just a tick behind in seventh. Meanwhile Auburn’s senior Alexander Hancock dropped way off, going 1:46.22 to round out the championship heat. 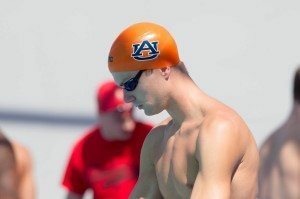 The B final was a battle of stud freshmen – Auburn’s Jacob Molacek held off a late charge from Georgia’s Gunnar Bentz to win the heat 1:43.71 to 1:44.10. With that Stewart win, Georgia overtook Florida in team points, jumping to 340. The Gators stood just behind at 306. 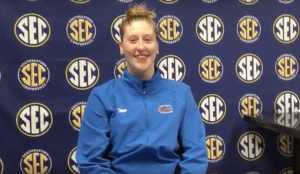 Though Georgia dominated the 200 IM, the Florida Gators didn’t show any signs of quitting by the next event. Gregg Troy‘s bunch went 1-2-3 to sweep the top spots in the event, led by new addition Theresa Michalak. Michalak, a German Olympian who just became eligible at the semester break, was 1:56.09 to just touch out junior Lindsey McKnight (1:56.16). Fellow junior Ashlee Linn was just behind in 1:56.40, eking out a win over Texas A&M freshman Bethany Galat (1:56.53) to complete the sweep. Georgia’s top finisher was sophomore Emily Cameron in fifth (1:57.04), but the Bulldogs also got a 7th-place finish from freshman Meaghan Raab (1:57.91) to maintain their points lead. In between was Tennessee’s Amanda Carner (1:57.65), and another A&M freshman, Kristin Malone, was 1:59.24 for 8th. Once again, two talented freshmen dueled for supremacy in the B final. This time it was yet another A&M rookie, Lisa Bratton, who won the race, going 1:57.28 to the 1:57.69 put up by Arkansas Razorback Chelsea Tatlow. That swim is so blazingly fast that it obscured an 18.93 by freshman Caeleb Dressel in the next lane. Dressel is the fastest under-18 performer in American history, and was only .05 off his lifetime-best for second place. Gkolomeev has to immediately become the favorite to claim all of the NCAA title this year after tying with Arizona’s Brad Tandy in 2014 – depending, of course, on what Tandy does at Pac-12s in two weeks. 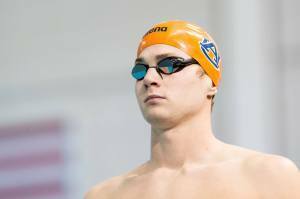 Auburn’s Kyle Darmody was 19.33 for third, and rising Georgia Dawg Michael Trice put together a nice 19.39 to take fourth. A tick behind them were Texas A&M’s Cory Bolleter (19.55) and Tennessee’s Troy Tillman (19.58). The field ended with an Auburn-Alabama rivalry battle, with Tiger Michael Duderstadt going 19.70 to Alabama’s Alex Gray‘s 19.81. Bama’s Brett Walsh went 19.50 to win the B final, a new lifetime-best in what was a solid scoring event for the Crimson Tide. That race kept Georgia in the lead, and Auburn made up some ground on Florida, with the top three going Georgia (371), Florida (337.5) and Auburn (323). Georgia didn’t even have the reigning national champ in the A final of the 50 free, but still came out with a 1-2 finish. Junior Chantal van Landeghem led the way, going 21.74, and senior Maddie Locus was 21.77 for second. They, along with 2014 NCAA champ Olivia Smoliga, should make for a formidable 200 free relay later on tonight. Smoliga missed the final with a rough prelims swim, but did put up a 21.96 to take 9th. That would have gotten her 4th in the A final. Texas A&M’s breakout French freshman Beryl Gastaldello was 21.85 to take third. That set off a wave of different teams after the Georgia dominance at the top. Tennessee’s Faith Johnson was 22.00, Auburn’s Allyx Purcell 22.02 and Florida’s Natalie Hinds 22.13. Rounding out the A final were Harper Bruens in 22.16 for Tennessee and A&M’s Sammie Bosma in 22.36. This seems about the point where Georgia is tearing away from the field points-wise. They now lead runner-up Texas A&M by 91, with Florida over 100 back. LSU has been hitting hard on the diving boards so far, and their senior Alex Bettridge earned the SEC title on 3-meter. Bettridge scored 350.30 points and was one of two Tigers in the championship final. Junior Cassie Weil was 311.65 for 8th. Kentucky’s Rebecca Hamperian picked up second in 329.20, just nipping South Carolina’s Lauren Lamendola (328.15). Georgia kept pace, which is really all it needs to do on the diving boards, getting a fourth-place slot from freshman Olivia Ball (320.30). Even with last year’s NCAA champ Laura Ryan gone, the ‘Dawgs should be in pretty decent shape on the boards this post-season. Texas A&M’s Madison Hudkins scored 319.00, just ahead of South Carolina’s Patty Kranz (318.75) and Kentucky’s Chrita Cabot (312.10). The Alabama men put four individuals under 20 seconds in the open 50 free, so it was only natural for them to take home the 200 free relay title. But things were close as can be, as Auburn nearly ran down their big-time SEC rivals. The difference-maker was Kristian Gkolomeev, who was once again untouchable. Gkolomeev nearly matched his individual time with an 18.69 leadoff leg. That means Gkolomeev put up the 5th- and 8th-fastest swims in history in the same night. Also on that relay was junior Brett Walsh, who split 18.87 on the anchor leg. Alex Gray was 19.44 and Luke Kaliszak 19.13 on the middle two legs as Alabama went 1:16.13, knocking Texas out of the #1 spot in the nation in the event. That is a school record for Alabama, and also the program’s first SEC relay victory since 1994 in a rebuilding project that has been fast-tracked the past couple of seasons. Just a tick behind was Auburn, which nearly ran down Bama on an 18.60 split from stud sophomore anchor Kyle Darmody. Michael Duderstadt was also 19.01 on that relay, which went 1:16.17 and sits #2 in the nation. Florida got an 18.59 split from freshman Caeleb Dressel, the fastest leg in the field, to finish third, back at 1:17.60, a long distance back from the top two. Tennessee was just a tenth behind the Gators, with a more consistent lineup than Florida, but no 18-second man to match Dressel. The Vols were 1:17.76, with Troy Tillman anchoring in 19.01. Georgia impressed with their mid-season sprinting prowess, but wasn’t able to match their more sprint-heavy rivals, fading to fourth in 1:17.96. Junior Matias Koski, coming off of the 500 free earlier in the night, was 19.34 for their fastest split as the Bulldogs cobbled together a relay out of Koski the distance man, a breaststroker (Nic Fink), and a backstroker (Taylor Dale) plus sprinter Michael Trice, who led off in 19.51. Missouri, the SEC leader during the regular season, actually gained time from their seed, going 1:18.50. Only Michael Chadwick could muster a 19-low, going 19.13 on his leg. That leaves Georgia on top of the team points heading into day 3, though Florida is only about 30 back (Georgia leads 421 to 391). Auburn is also keeping things close, sitting at 379. We’ll have a full team scores update coming after the conclusion of the meet. Georgia improved their #3 time in the NCAA in winning the women’s 200 free relay. 50 free champ Chantal van Landeghem was again on her game, splitting 21.35 on the second leg, after runner-up Maddie Locus led off in 21.99. Last year’s NCAA champ Olivia Smoliga was right on the edge of 21, splitting 22.04, and Lauren Harrington added a 22.17 anchor leg as the Bulldogs ran away with the title in 1:27.55. Closest to them was Auburn, which got a quick 21.64 from Allyx Purcell. Their anchor, Valerie Hull, nearly ran down Georgia with her 21.76 split, and also on the squad were Megan Fonteno and Ashton Ellzey. The Tigers went 1:28.05, which should remain 4th in the NCAA this year. Tennessee touched out Texas A&M and Alabama for third, 1:28.93 to 1:29.01 and 1:29.03. The Vols got a 21.64 from Harper Bruens as well as a 22.12 from Faith Johnson, who may be saving some of her rest for NCAAs. A&M took third on a 21.55 from freshman Beryl Gastaldello, who has really been sizzling for the team in her first SEC Championships. 50 free A-finalist Sammie Bosma was also 21.96 for the Aggies. ‘Bama came in third of that trio, getting just a single 21-second split from its team. That came on Justine Panian‘s anchor leg, where she went 21.65. Florida lost out on some big team points by fading to sixth and adding time from their seed to go 1:29.43. Not a single Gator could sneak under 22, with Natalie Hinds leading off in 22.38. That dropped Florida well below Texas A&M in the race for second place, with Georgia already leading by a landslide. The Bulldogs hold 526 points to A&M’s 442, and Florida is about 30 back with 412. We’ll have a full team score breakdown coming shortly after the meet. Anyone know how you can watch this if you are a TWC subscriber as they block the SEC network for Watch ESPN. How do you watch it BOBO? I know you mentioned you paid for it? I don’t watch that meet live. I didn’t pay anything. 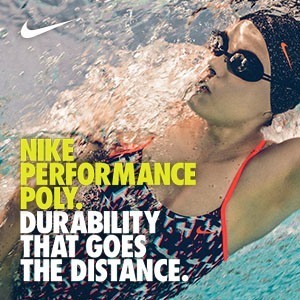 I just mentioned the link swimswam had posted. I don’t know how it works. Sorry. Any results yet? Meet Mobile showing nothing for me yet, and I’m currently living in temp corporate housing with a group Time-Warner account, so shut out of ESPN. Thanks.